Why does God work signs and wonders? 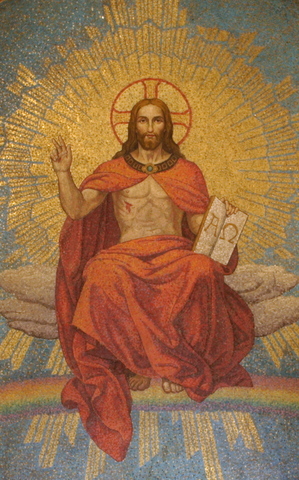 There can only be one answer: His Merciful Love. Our Creator knows our human weakness. Our faith may be weak, or we may have no faith at all. We experience things and come to knowledge through our senses, so God grants us signs that we can see, hear, smell and touch signs of His goodness. The Old Testament is filled with signs and wonders that God granted to all mankind to reveal His Presence and show His power and might. But what could be more miraculous than the New Testament miracle that a virgin should be with child and bear a son? 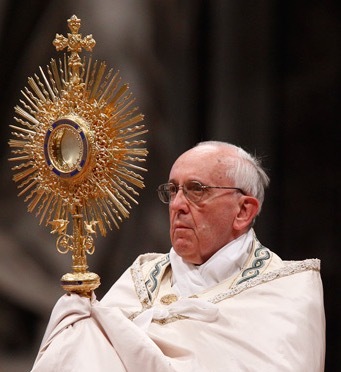 That God should become a tiny infant in the womb or that bread and wine should become the Body and Blood of Christ? Through these unimaginable signs God shows Himself to be not only all-powerful, but also all-good, all-humble, all-merciful, all-LOVE! To enumerate the many scientific studies done on the miraculous images of the tilma of Our Lady of Guadalupe, or the Shroud of Turin, or the Holy Veil of Manoppello may demonstrate to those who need proof that they are indeed miracles. But faith is still required for belief and some, in spite of the facts or reliable testimony, may still have doubts or sadly choose not to believe. 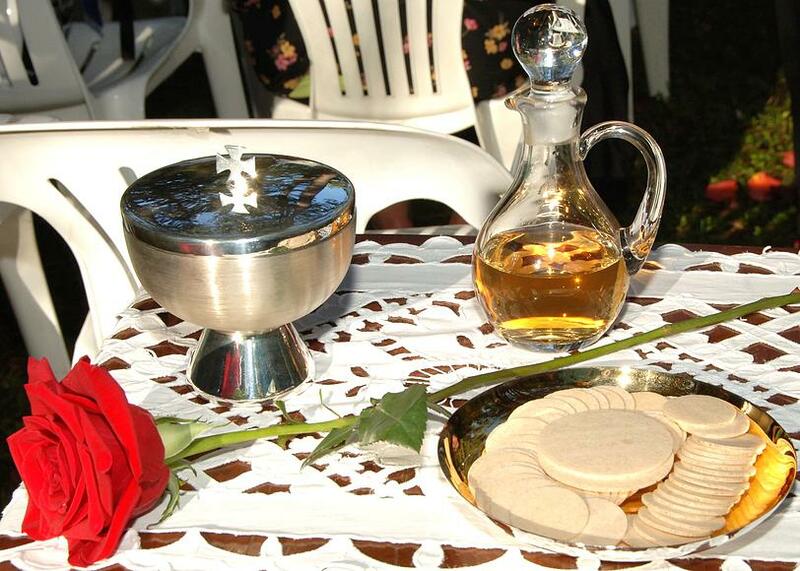 What greater sign of His Love than that the bread and wine become His Body and Blood? 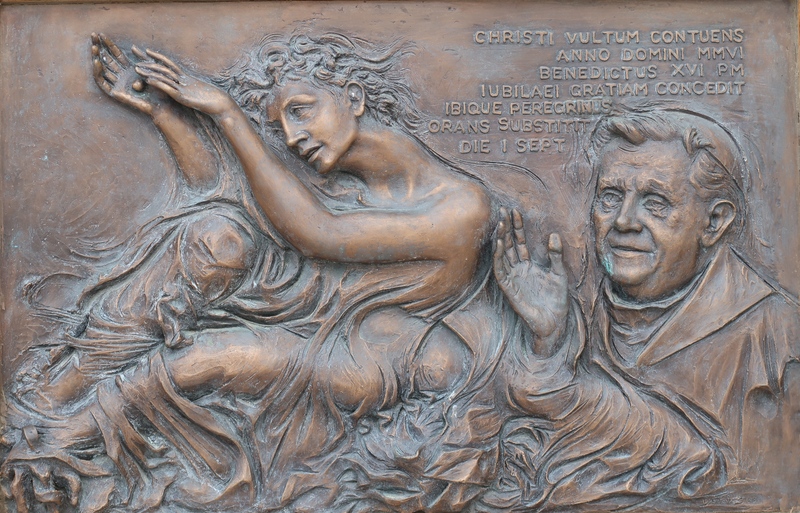 The miraculous image of Our Lady of Guadalupe, the Shroud of Turin, and “Il Volto Santo,” the veil of Manoppello all have something in common. They are all Acheiropoieta, a Greek word meaning: “made without hand.” They are said to have come into existence miraculously, not created by a human painter. The extensive research that has been done on these three images, and the results are astounding. 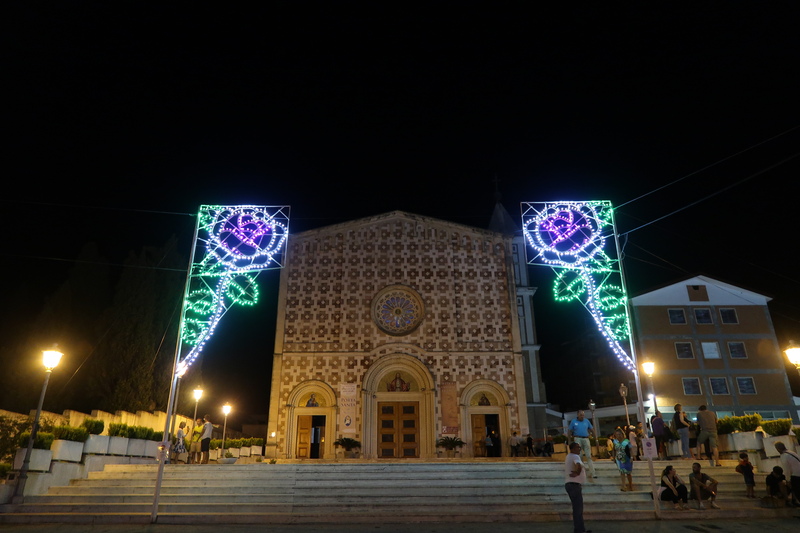 Although I have not been to Mexico to view the miraculous tilma of Our Lady, I have seen both the Holy Shroud of Turin and the Veil of Manoppello in person. Studying them has been my own personal passion. Being an artist, (and near-sighted) I tend to look at things more closely. I study each little detail, shape, line, form, color, and value. I may spend hundreds of hours studying while I work. I can’t help but know every little nuance by the time I am done painting. 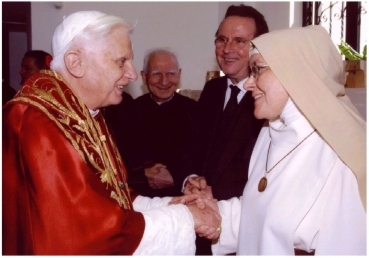 Sr. Blandina Paschalis Schloemer, a Trappist nun from Germany, is also an artist, a painter of icons. Icon painting is very exact when it is done in the traditional manner. 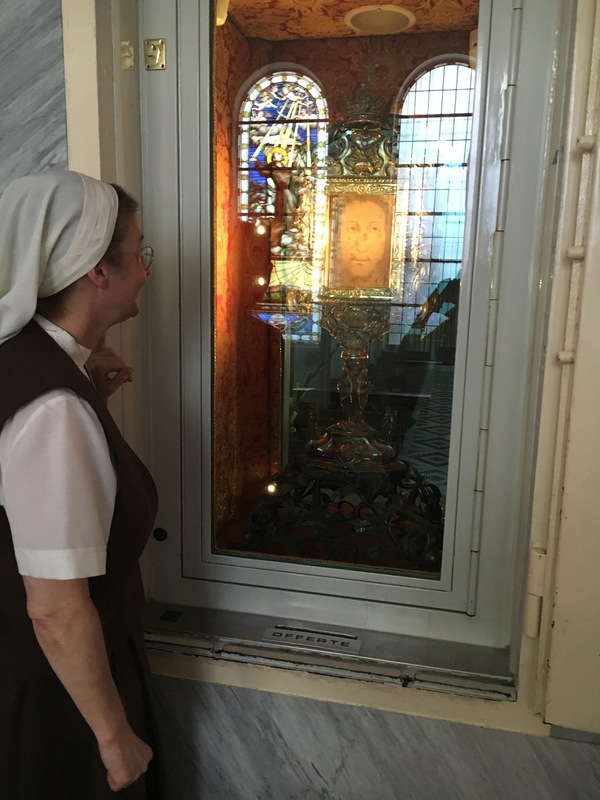 Sr. Schloemer began to notice striking similarities between ancient icons and images of the Face of Christ, and the images on the Shroud of Turin and the Veil of Manoppello. With the permission of her order the research has become her life’s work as well as part of her vocation. 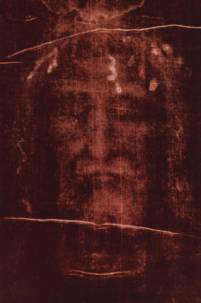 Her research indicates that both images on the Shroud of Turin and the Manoppello Image are of the same man. I agree with her, wholeheartedly, although it is not at first glance apparent. 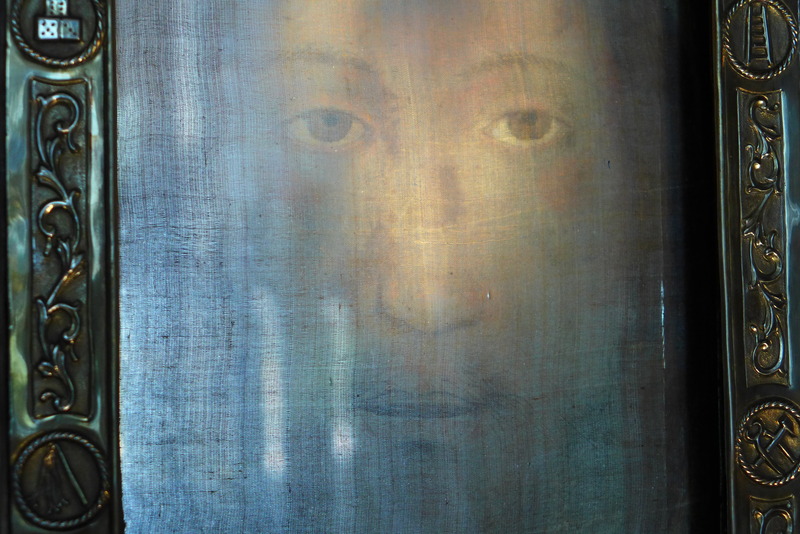 There are also many similarities between these two images of Jesus’ Face and the image of Our Lady of Guadalupe. First, all are on a cloth. The image of Our Lady of Guadalupe is on cactus fiber, which should have disintegrated hundreds of years ago according to scientists. 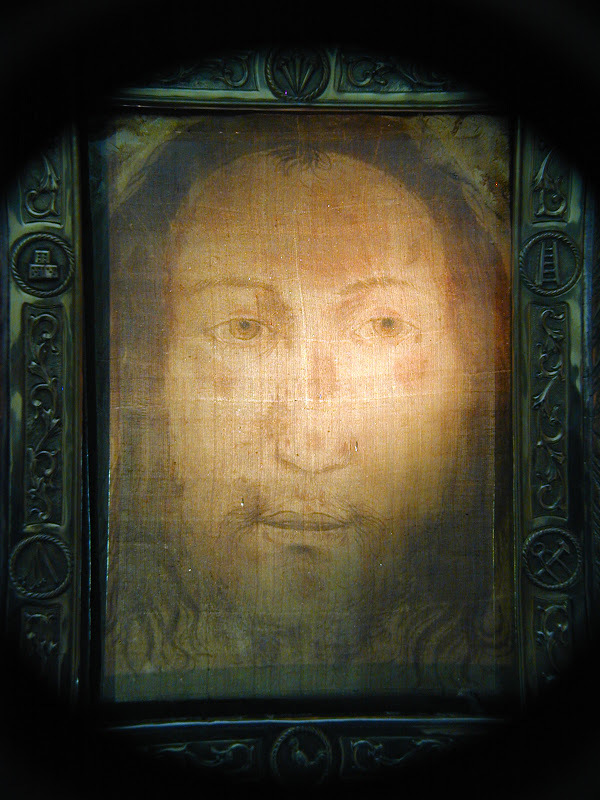 The Shroud of Turin is on linen and the Manoppello Image is on woven sea-silk, called byssus. 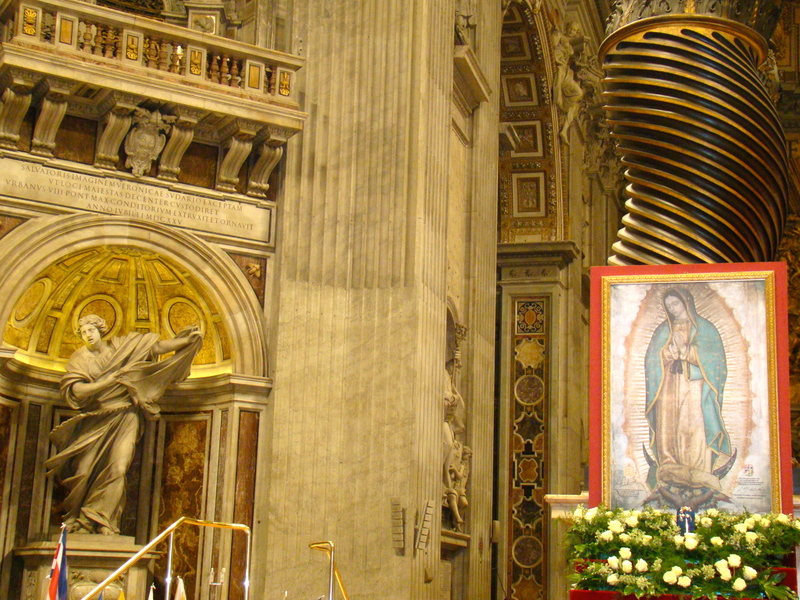 Our Lady of Guadalupe, pilgrim image beside the Veronica Altar, at St. Peter’s Basilica in Rome. Photo: Paul Badde, author of The Face of God: The Rediscovery of the True Face of Jesus, Ignatius Press. Byssus is more rare and more precious than gold. Mentioned in the Bible, byssus, has a shimmering, iridescent quality which reflects light. Byssus is extremely delicate, yet strong at the same time. It resists water, weak acids, bases, ethers or alcohols. It can’t be painted, as it does not retain pigments, it can only be dyed; and then, only purple. Did I mention that it can last for more than 2000 years? 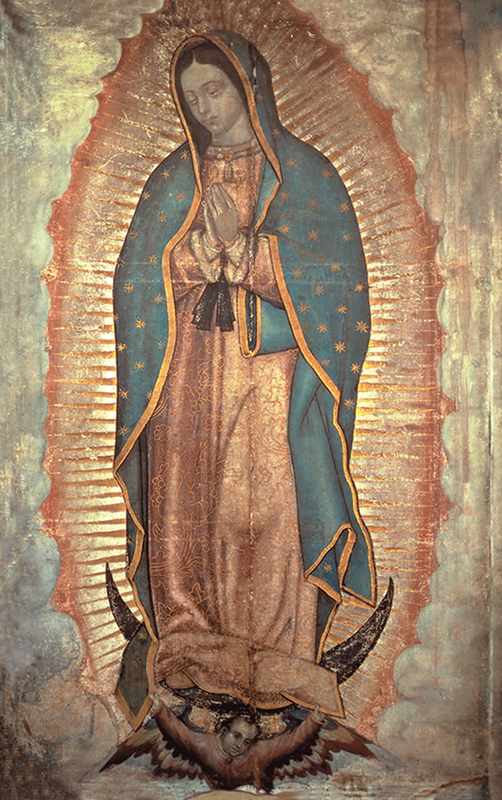 Another similarity between the Guadalupe image and the Manoppello image is the changeability of the images. Pilgrims have related how the image of Our Lady on the tilma appears to change in color, brightness and depth. 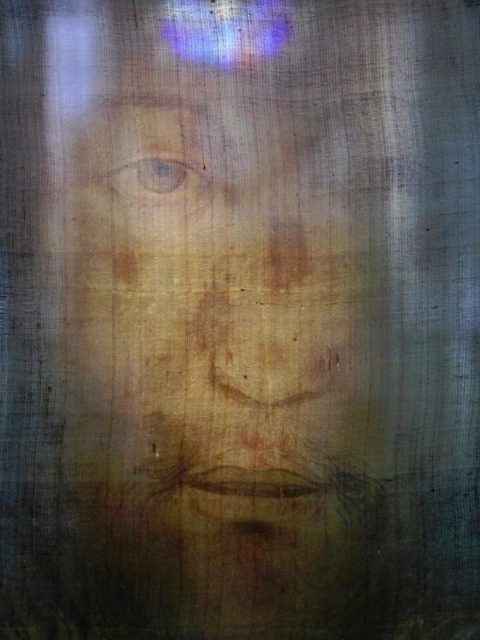 Scientists can’t explain how the Guadalupe image appears on the tilma, it is not painted… it is “just there.” The Shroud of Turin has been described similarly. 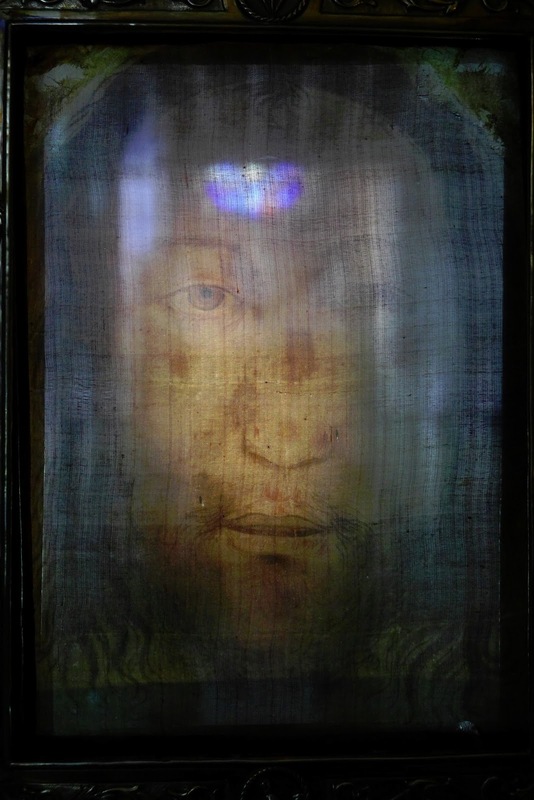 The veil of Manoppello, or “Il Volto Santo” as it is also known, is even more incredible, if that can be possible, because in addition to the image being on a veil so sheer that it can be read through, it also changes in detail, color, and shape. It even disappears… entirely. It is called a “living image” and so it is. No two people will see it in the same way. No single person will see it in the same way twice. 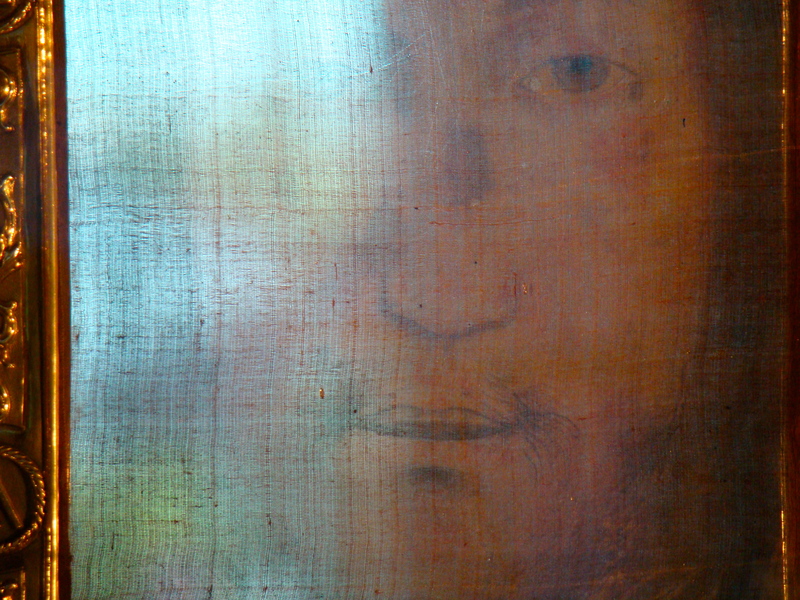 Julian of Norwich, the English mystic of the 14th century, mentions changeability as a characteristic of the Veil of Veronica in Rome, “the diverse changing of color and countenance, sometime more comfortably life-like, sometime more rueful and death-like.” The Veil of Veronica, it is now believed, was most likely stolen a hundred years later, during the sack of Rome. 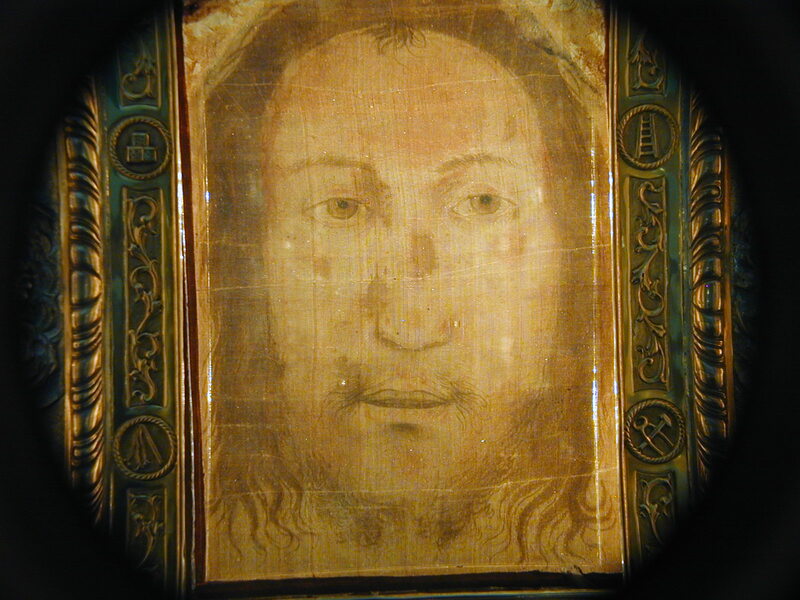 But, Julian of Norwichs’ description of the Veil of Veronica certainly fits “Il Volto Santo” of Manoppello. But, there is more. There is something about the faces… if you study the faces in particular, especially the eyes, as one opthamalogist did. 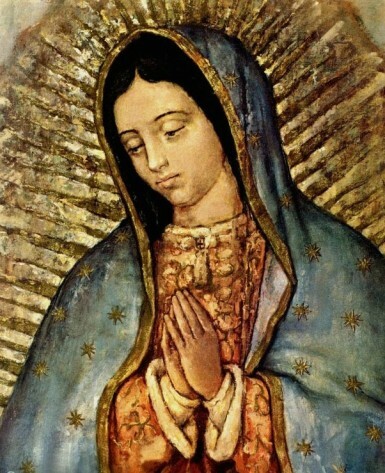 On the eyes of Our Lady of Guadalupe, you will notice that something. 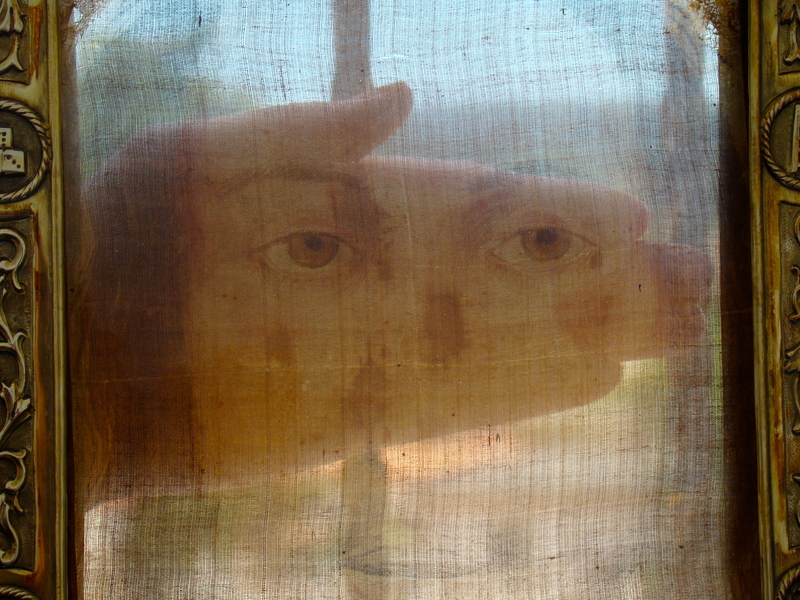 Similar research has been done on the eyes of “Il Volto Santo.” There are delicate, natural, details in all three images that cannot be accomplished without the aid of paint or brush, on a rough, cactus cloth, or on a linen burial shroud or on gossamer-thin sea-silk. If you have an opportunity, look closely. Yes, there is something about the faces, and it is something supernatural. They are not made by human hands, but by the Hand of God. St. Padre Pio, a Friar Minor Capuchin priest and mystic, was well-known for his many spiritual gifts such as the stigmata, bi-location, and for his ability to read the hearts of penitents who came to him in confession. During his life St. Padre Pio suffered as Our Lord did, not only through physical pain, but by humiliations, calumny, slander and mistrust that deeply wounded his heart, in this he shared in the suffering of the Face of Christ. 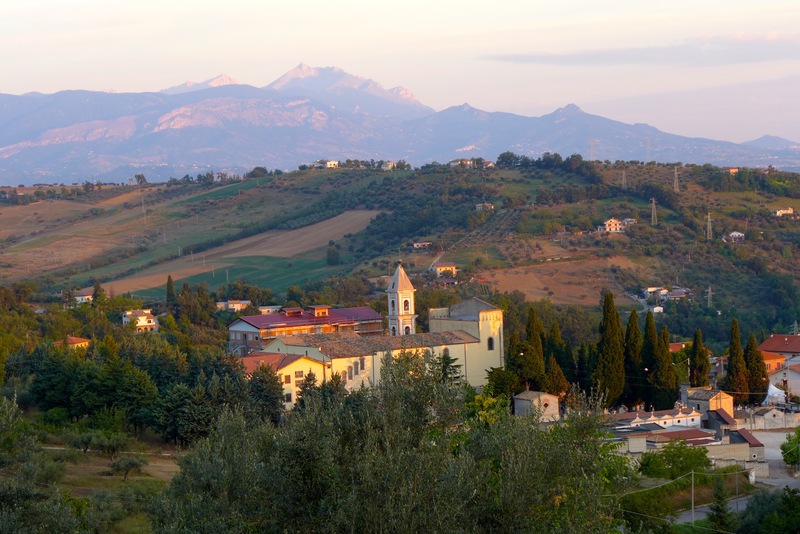 It is no wonder then, in the extremity of his own suffering, St. Padre Pio’s last case of bi-location was before the relic of the Holy Face of Jesus at the shrine of “Il Volto Santo” in Manoppello, Italy, 200 km north of San Giovanni Rotundo, where Padre Pio lay dying. 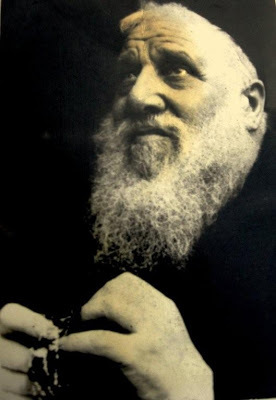 His friend and fellow Friar Minor Capuchin, the Servant of God, Padre Domenico da Cese, was at that time the rector of the shrine. 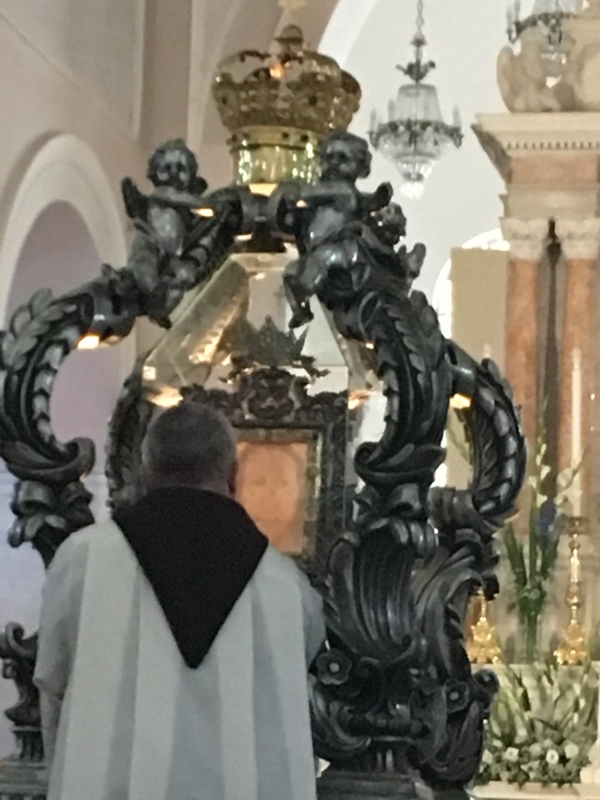 Padre Domenico gave testimony that at the dawn of the last day of St. Padre Pio’s earthly life, he unlocked the doors of the shrine of the Holy Face and was astounded to find Padre Pio in prayer, in the choir behind the altar before the Sacred Image of the Face of Jesus. St. Padre Pio spoke then to Padre Domenico saying, “I do not trust myself any more. I am coming to an end. Pray for me. 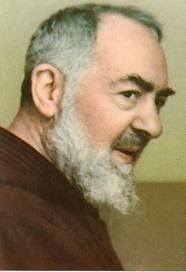 Good bye until we meet in Paradise.” 24 hours later St. Padre Pio died in his cell in San Giovanni. 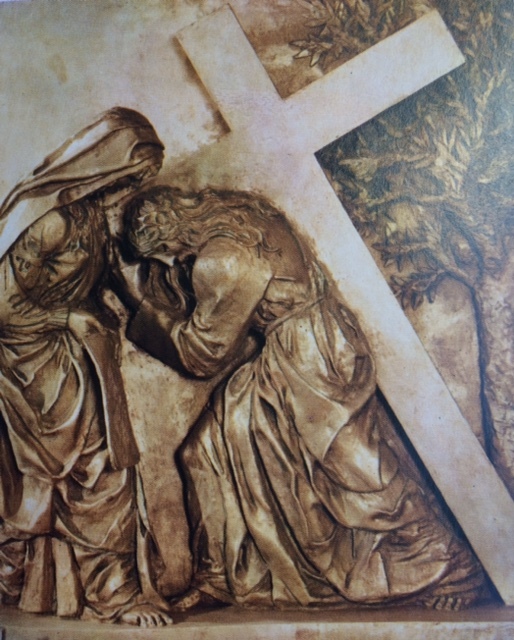 Below are photos of the miraculous image “Il Volto Santo” that Padre Pio prayed before in his own agony. 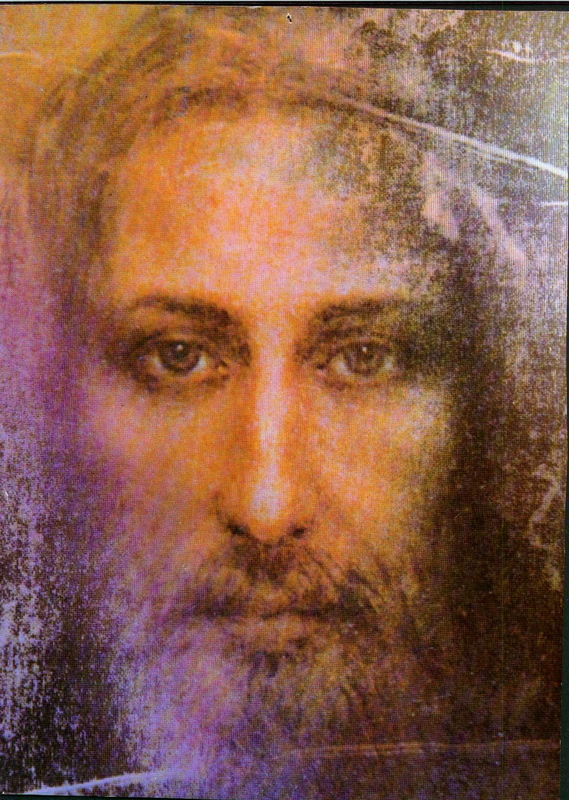 This “living image” is very difficult to capture in a photograph because it is a changing image, one face, an infinite number of expressions but always a Face of Mercy and Peace. Like St. Padre Pio let us “look into the mirror” and contemplate always the Face of Christ!